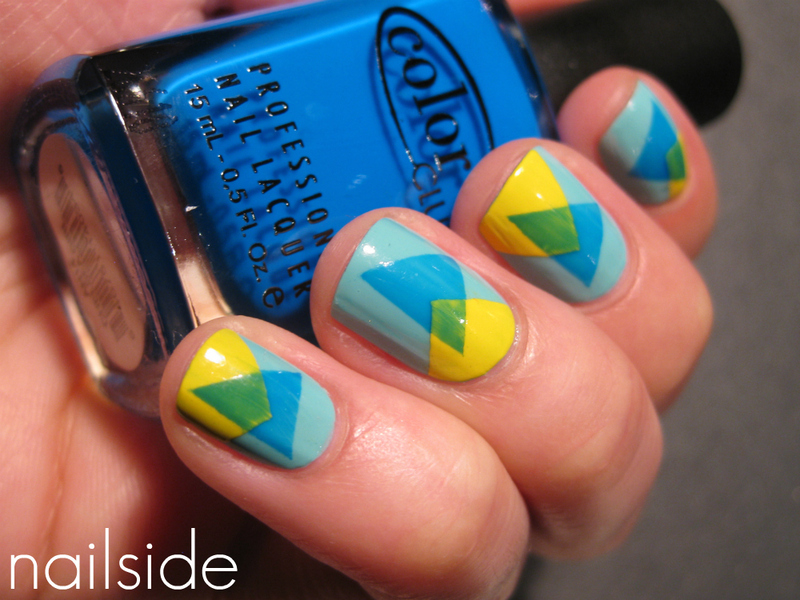 I liked the '80s mani myself a lot too, plus it's fun to do, so I made another version. Same idea but in fresher colors. :-) The basecolor is the classic China Glaze For Audrey, I love this polish! (It combines so well with different colors.) I used Color Club Almost Famous for the yellow and the sheer blue is Color Club Chelsea Girl. I really like the bright color of Chelsea Girl, but was so disappointed when I found out how sheer it was (4-5 coats for opacity, if you don't use a white base). However, that sheerness has a purpose from now on. 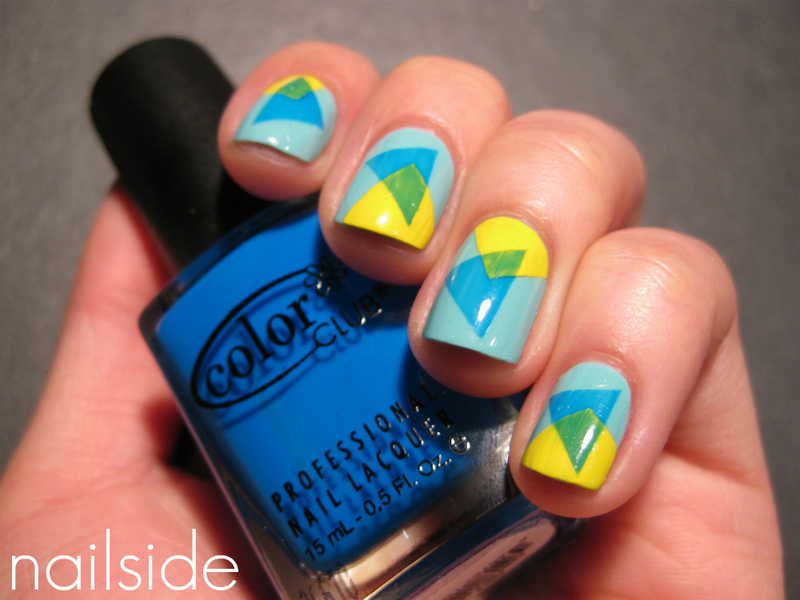 :D What do you think of this blue and yellow mani? You are just a master at color coordination! I can't wait for your tutorial! This version is also amazing! I love these overlaps! You're so creative Jane! You gave sheer nail polish a new purpose! I love this! Love it! Just as much as the first 80's mani! this is really cool but it looks hard! I love it! I´m really anxious to see the tutorial! I like this color combination more so than your first 80s mani although both are flawless!! SOO so awesome, and these colors are fab. You really have my favorite designs, they're achievable and adorable. This is such a great idea! Nice job! I just love how cool this looks!! Looks very cool! I wish I had more sheer polishes now. Well, you are very good in what you do and look forward to every nailart you make! This one's beautiful as well! I really really really love all your nails art !!! Hi, can i ask about tutorial of this nails? I love the springy colors! The last one was gorgeous but this color combi is even cooler!! It's perfect that it's sheer, it looks more interesting that way ;) Love it ! May be even hotter than the first one <3. I love your blog so I nominated you for the Versatile Blogger Award! Check my blog out and see! Wow. Just Wow! These colors look so amazing together, and you are so talented to have created this design! Cool! When does the tutorial come?